Can I really convert iTunes M4P files to MP3? I have tried many ways to convert iTunes files into MP3 from the "protected" M4P files, but none of them worked well. The answer is "Yes" and here this article will share a useful way to convert iTunes M4P files to MP3 for unlimited enjoy. 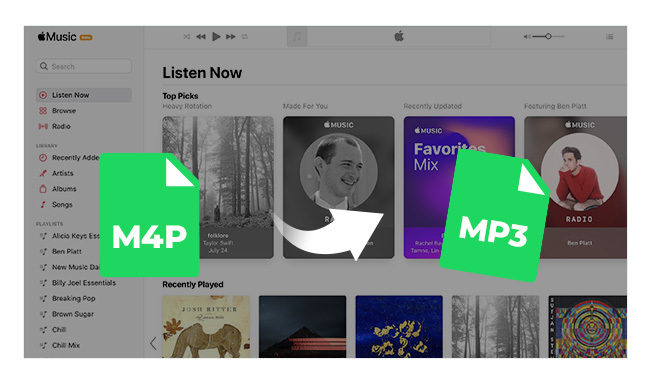 iTunes M4P is a kind of encoded audio file format which is inserted with DRM protection to limit to play M4P files on only Apple's devices. So if you have M4P files, especially the files you purchased from 2003-2009, and you want to play these M4P files to other music app or non-Apple devices, like MP3 player, Walkman, PS4 or other Android smart phones, you need to remove the DRM protection from these M4P files and convert them to unprotected formats, like MP3. 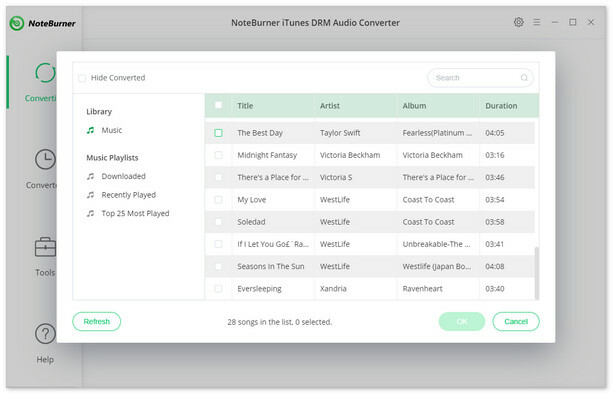 Here the third party software NoteBurner iTunes DRM Audio Converter ( For Windows | For Mac) is a very useful program to help you remove the DRM from iTunes M4P files which you purchase from 2003 to 2009 and convert them to MP3 format you want. Remove DRM from iTunes M4P music and convert them to the plain formats, like MP3, WAV, FLAC and AAC. Remove DRM from Apple Music file for offline enjoy on iPhone, iPad Pro, iPod, PS4, MP3 player offline. Remove DRM from Audible AA audiobooks and convert the audiobooks to DRM-free MP3, AAC, FLAC or WAV. High output quality will be preserved while 20x faster conversion speed. Launch iTunes DRM Audio Converter on Windows PC. You will see the interface of iTunes DRM Audio Converter. Click “+” button, then you will see a pop-up window which will show you all the iTunes M4P files you downloaded. You can add them to iTunes DRM Audio Converter. 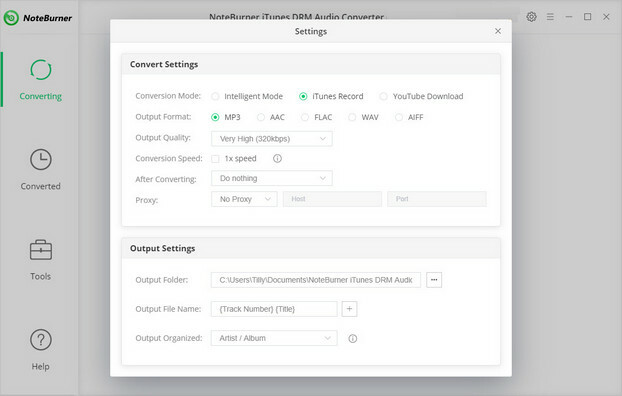 Click the menu bar "iTunes DRM Audio Converter > Preferences" or directly click setting button the program interface, and then there will be a pop up window which allows you to set output path and output audio format. Here you can choose MP3 as output format. When finish customization, click ,"Convert" button to start converting. After conversion, you can click history button to find the converted audio files. Now, all the files you added in NoteBurner iTunes DRM Audio Converte are plain MP3 formats, you can enjoy them on any other music app or devices which support music player. What's next? Download NoteBurner iTunes DRM Audio Converte now!